There are many benefits of using essential oils in skin care. The essential oils are easily absorbed through the skin and they can be added to vegetable oils, moisturizers, scrubs, face masks, ointments and so on. It is also especially beneficial that they have an appealing scent which works on the emotional level as well. I love applying my morning facial cream with geranium because I also love the aroma and it makes me happy. The essential oils have been used throughout history for healing, cleaning, religious ceremonies, flavoring, skin care and perfumes. There are many oils which are beneficial to the skin so I have selected my favorites. The one and only. I always say if you can only afford one bottle of essential oils then pick lavender. It is very versatile oil with many uses. It works for all skin types, if you have dry skin, combination skin, mature skin, oily skin, and sensitive skin you can use lavender. According to Battaglia, lavender is also beneficial in conditions such as eczema, dermatitis, acne, psoriasis and boils. Who doesn't love the scent of flowers? Not only is the aroma of geranium positive, happy and mood lifting, but geranium will also make the skin happy. Battaglia says it is valuable for oily, dry or combination skin as well as balancing the production of sebum. It is also a valuable oil for burns and wounds according to Battaglia. I like to add geranium to massage oil to add balance to my aging skin. Yes, frankincense is an amazing oil. It rejuvenates aging skin and return dry and oily skin to normal. According to Battaglia frankincense is recommended for mature and dry skin, wrinkles, wounds and scars. It firms skin, promotes healing and fights inflammation. Cedarwood is a wonderful oil and it smells of fresh cut timber, but I noticed many don't realize its value in skin care. According to Battaglia, cedarwood's astringent and antiseptic properties makes it very useful in oily skin conditions. 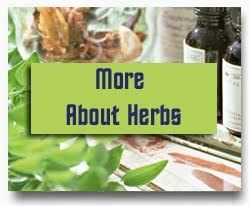 He also says it helps to clear dermatitis and psoriasis. Battaglia also says it is a great hair tonic and effective for treating dandruff. Tea tree is another great oil to use and it is mild enough to use on children. However, always check out the safety information before using any essential oils on children. According to Battaglia, tea tree is very effective for treatment of acne and pimples when combined with lavender. It can be mixed in a 1% dilution with a light oil such as jojoba or apricot. Massage into face and then wipe off. He says it can be added to shampoo and used in the treatment of dandruff. If you haven't tried any of these oils in skin care before then I suggest that you try. Except for frankincense, these oils are fairly inexpensive as well as very versatile. Using essential oils for your skin care regimen is safer than using most commercial products that contain many harmful chemicals. An extra bonus is that the oils can be used for so much more than skin care. This information is for educational purposes only, and is not meant to diagnose or prescribe. If you are pregnant, breastfeeding, or suffer from a medical condition, consult with your health care practitioner prior to using essential oils. Be careful when using essential oils with hormonal activity and don’t hesitate to contact a professional. 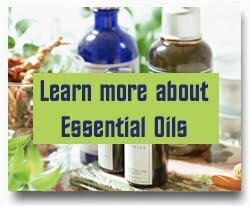 Make sure that you look over the safety information before you start using essential oils. I recommend that you always perform a skin patch test when you try a new oil. 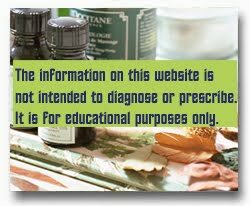 Check out my safety page to make sure you are aware of any contrindications before you use essential oils. Some oils are not suitable when suffering from certain conditions. Also, Read this Before You Start Using Essential oils. Some oils should not be applied prior to sun exposure so make sure you check this list before spending time in the sun. Are You Diffusing the Oils Correctly? 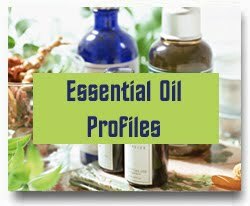 If you're new to essential oils you might want to check out my Getting Started Guide. Johanna is an aromatherapist and she is passionate about educating people about health, essential oils, real food, natural remedies, and nutrition so they make healthier choices in their lives. 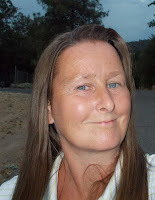 Follow Johanna on twitter and facebook for more health tips and information.